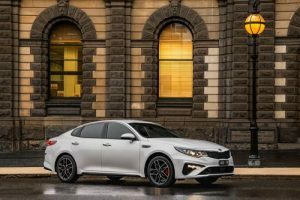 Kia’s news of late 2018 about the addition of two new turbocharged cars to the range has been confirmed. 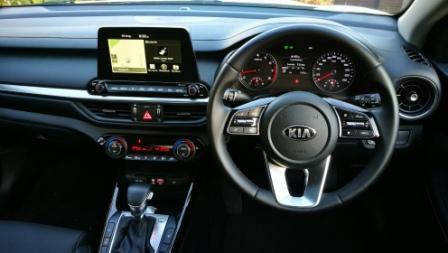 Kia Australia recently released details of the Kia Picanto GT and Kia Cerato GT. 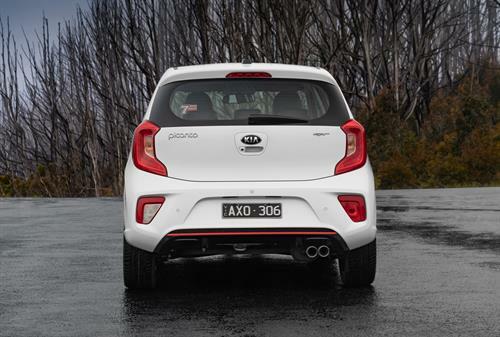 The Picanto model is almost an oddity in the Australian market, yet it has a fiercely loyal following. 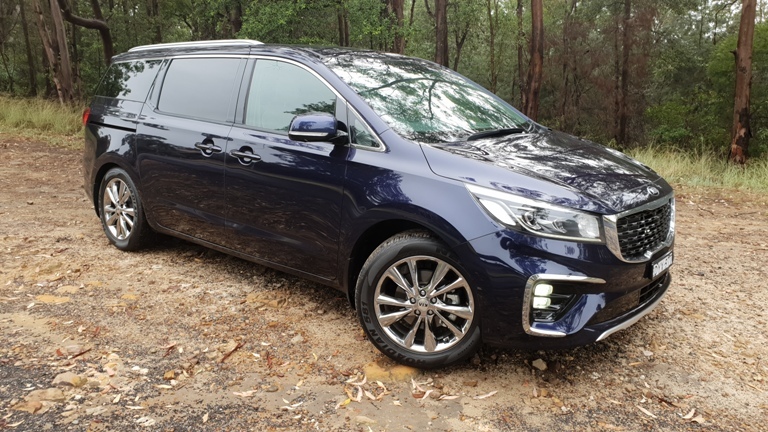 That dedication is sure to grow now it has a 1.0L, three cylinder petrol engine and turbo that produces 74kW and a handy 172Nm. Transmission is a five speed manual. Handling has been fettled with the MacPherson struts and torsion beam rear getting some extra attention. 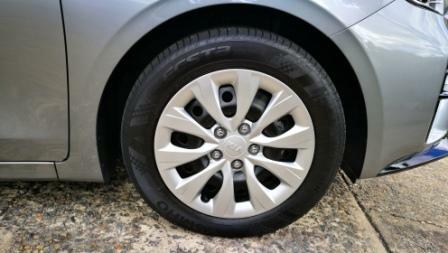 Springs were given a stiffer rate, the shocks a different absorption rate, with the end result even less body roll, better ride comfort, and better control. 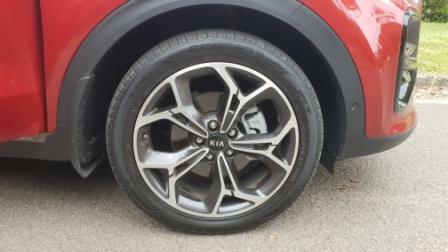 Rolling stock has been upped to 16 inch alloys, with 195/45 rubber aiding grip. 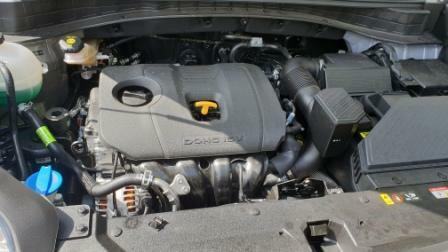 But the centre piece is the revamped engine. 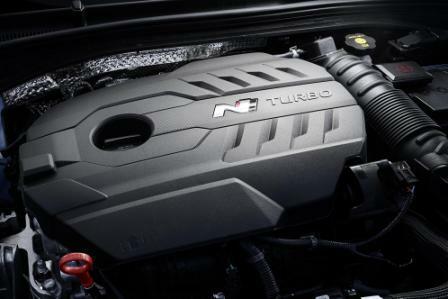 The turbo’s wastegate is electrically controlled for more precise monitoring, re-using clean air for better efficiency. An integrated one piece exhaust manifold reduces weight, provides better component sealing, and brings down exhaust temperatures. 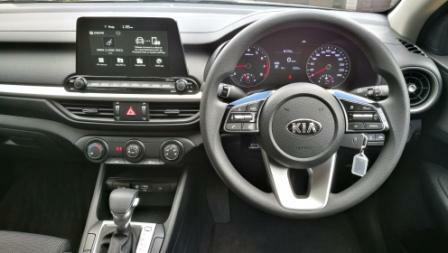 All up, it sees a quoted combined fuel consumption of 4.8L/100km, with urban running at 6.2L/100km. 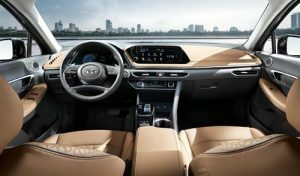 Along with niceties such as Android Auto/Apple CarPlay, body work, and a revamped body structure, the ask of $17,990 is a real bargain. 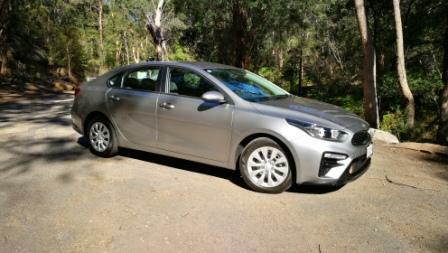 The Cerato has also been given a turbo, and the hatch has been re-added to the range. 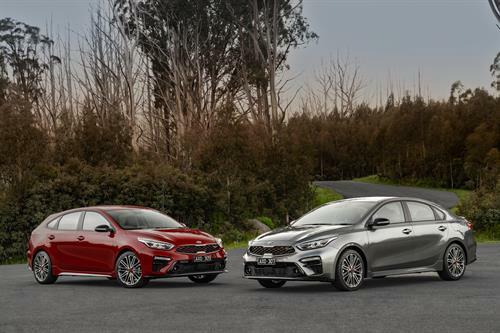 In a 1.6L capacity and a $31,990 driveaway price, the extra poke and suspension work sees the Cerato sharply positioned to further increase its market share. 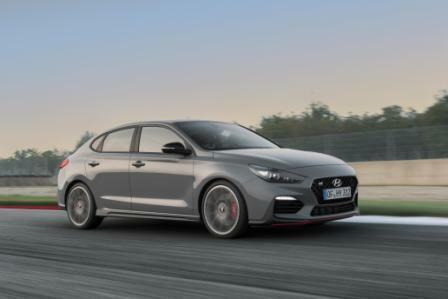 Having 150kW is one thing, as that’s produced at 6000rpm. 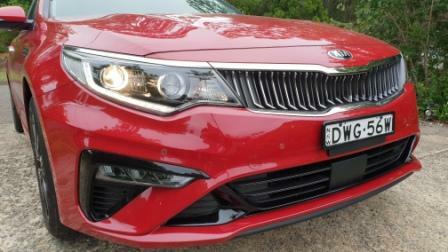 It’s the spread of torque, 265Nm worth, that will make it a driver’s car. 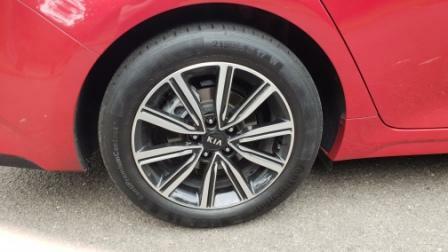 That;s available between 1500 – 4500 rpm, a flat delivery across a very useable rev range. 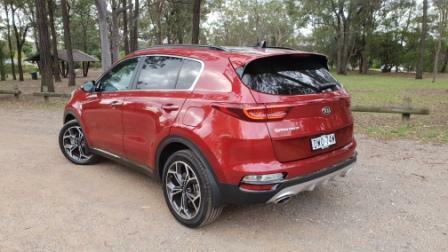 That’s powered through to the ground via the front wheels and a seven speed DCT or dual clutch transmission. 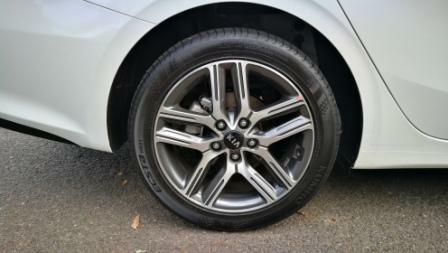 Wheels are 18 inches in diameter, with 225/40Z Michelin rubber. 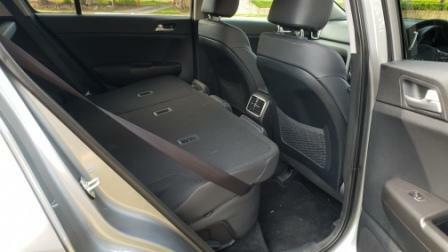 A slightly bigger overall body has an added increase in luggage room. That’s gone up by 84L to 741L when measured using the SAE. 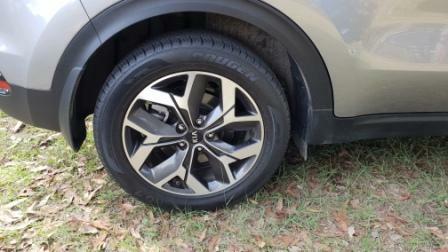 Wheelbase, though, has remained the same. 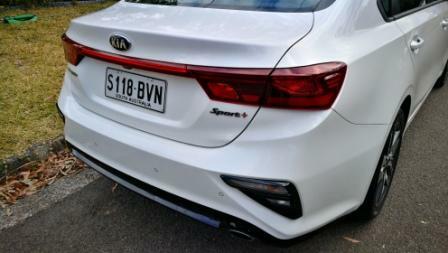 Underneath the svelte body is a redesigned subframe, with stiffness up by 16 per cent. 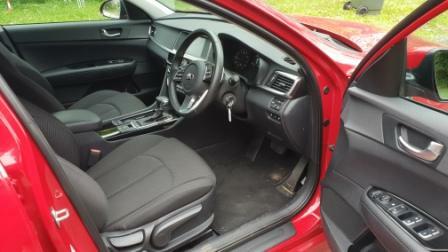 The steering system has been reworked to further lessen that detached, artificial, feel. 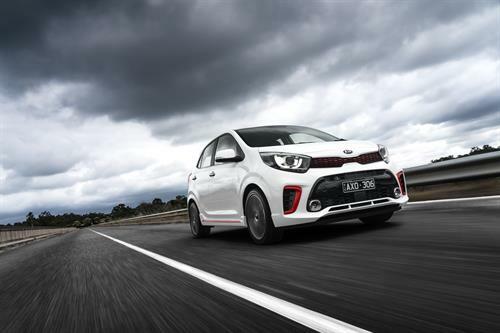 Contact Kia Australia via their website for further information. 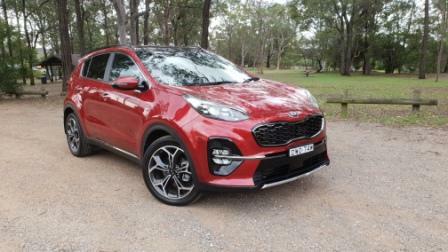 Kia updated their Sportage range in mid 2018 and although mainly cosmetic in nature, it keeps the range fresh. 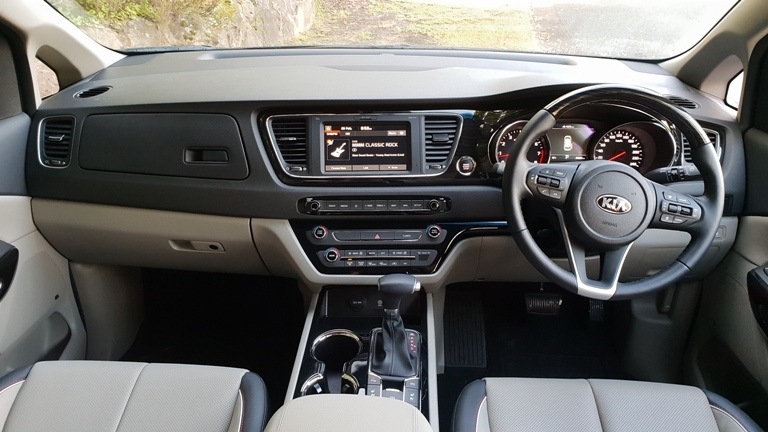 The new for 2019 Kia Sportage SLi with petrol and the diesel fueled 2019 Kia Sportage GT-Line graced the driveway for a week each and both showed why they are ideally suited for their respective target markets. 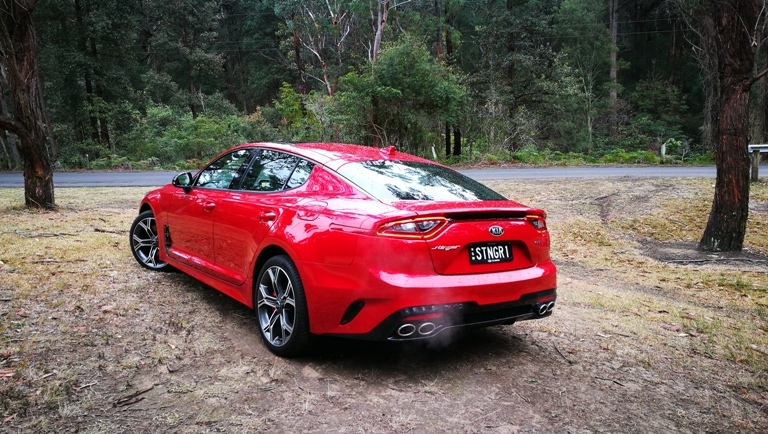 The GT-Line is listed at $48,210 plus on roads, the SLi at $37,310. 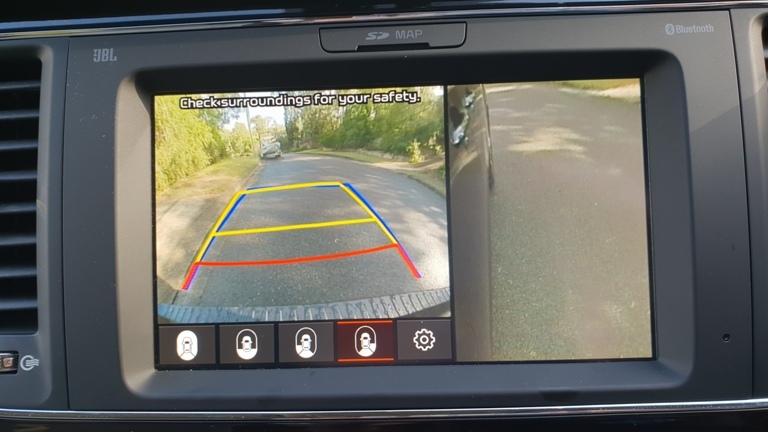 There is a very well specified equipment list for both, including Autonomous Emergency Braking and Lane Keep Assist now standard across the range, and a suite of GPS linked voice alerts for speed cameras, narrow roads, schools, and more. 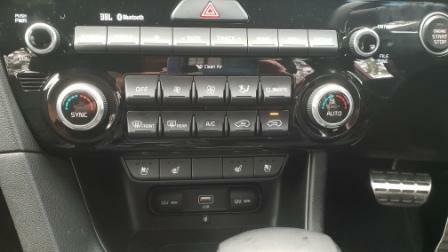 Apart from the different energy sources there are two different transmissions. 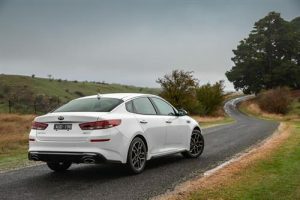 Kia has kept the six speed auto for the petrol with its higher rev points for power and torque, The diesel has a new eight speed, and It’s a cracker. 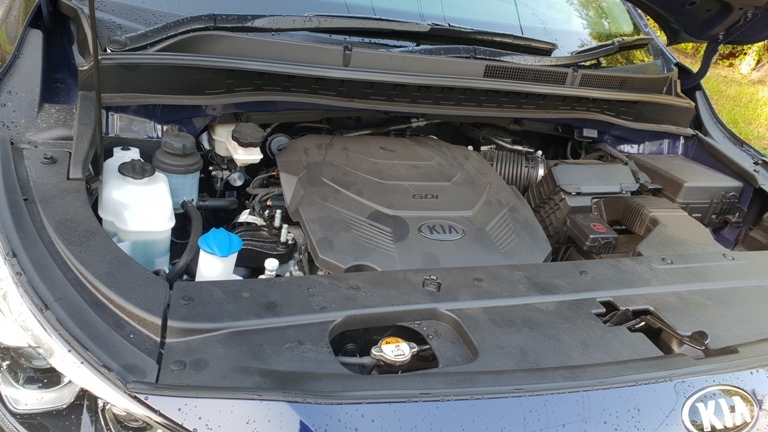 The 2.0L diesel has 400Nm of torque and the eight ratios are well spread to take advantage of the power and torque delivery. Torque is on tap from idle with that peak available from 1750 to 2750 rev. 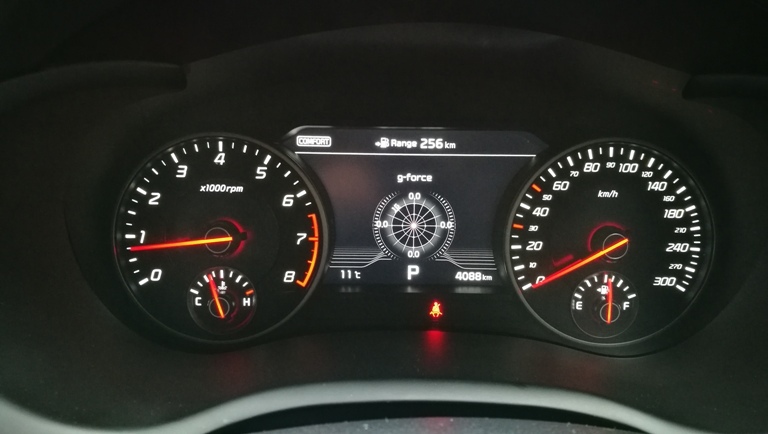 Peak power is 136kW and that’s at 4000rpm. 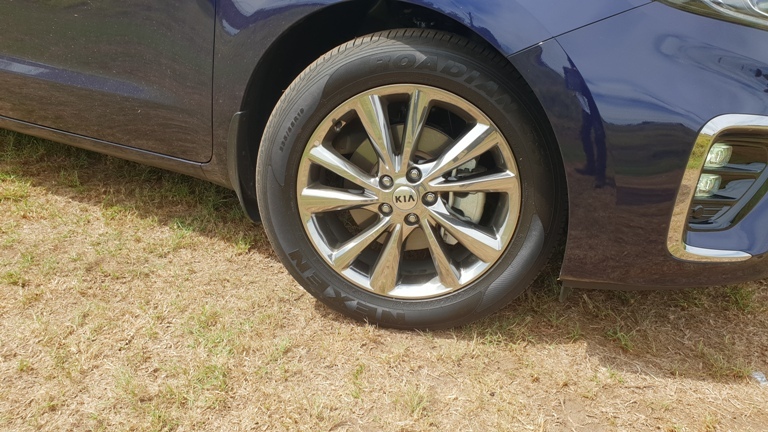 The SLi is a front wheel driven unit, the GT-Line an all wheel drive setup and comes with a centre diff lock for soft-roading. 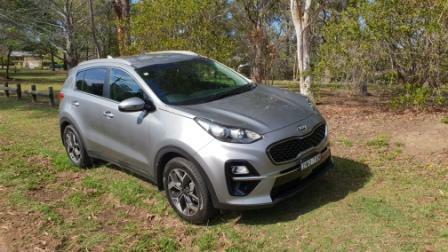 The Sportage is a four model range, being Si, Si Premium, SLi, and GT-Line. 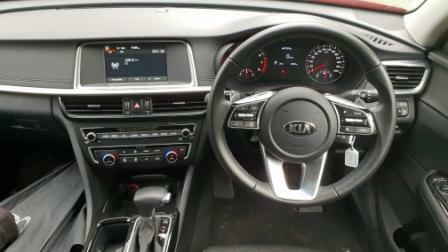 The first three have a choice of 2.0L petrol engine or 2.0L diesel. 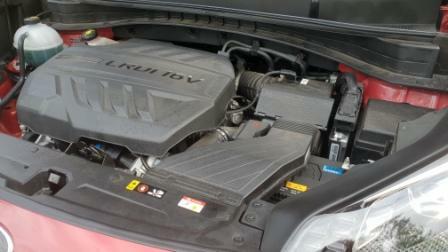 The GT-Line is 2.4L petrol or 2.0L diesel. 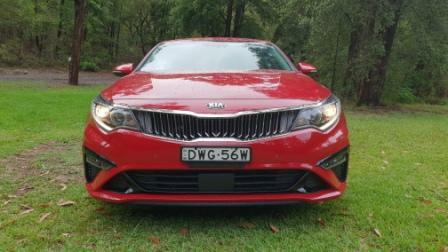 The 2.0L is a nice enough performer, with 114kW and 192Nm. 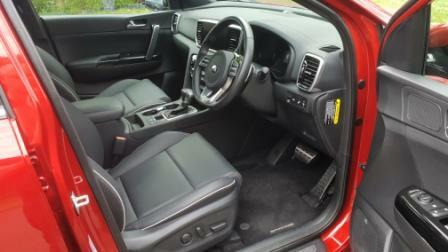 This comes standard with the six speed auto. 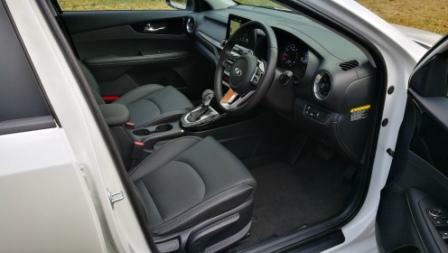 The petrol is a free revving unit and its own power and torque curve has the six speed auto running slick and smooth. 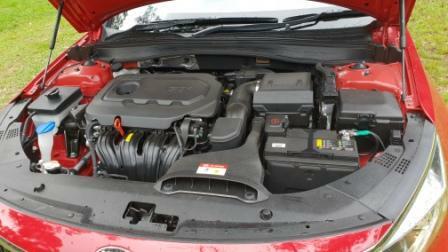 Power for the 2.4L petrol is virtually identical to the diesel at 135kW however that’s at 6000rpm. 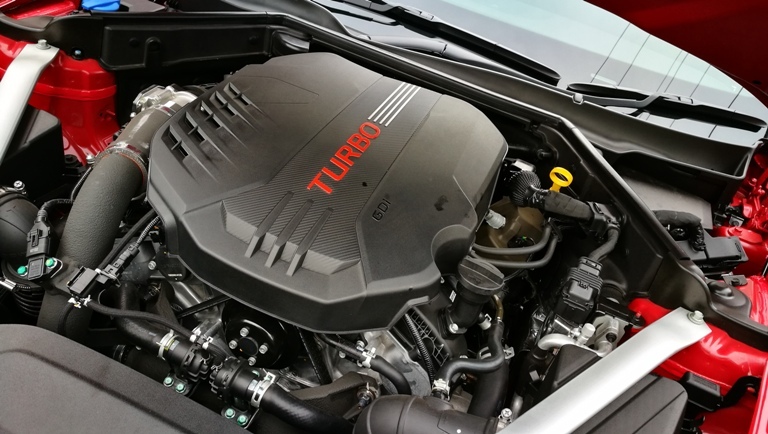 Torque, naturally is a lesser peak figure and higher up the rev range, with 237Nm at 4000rpm. 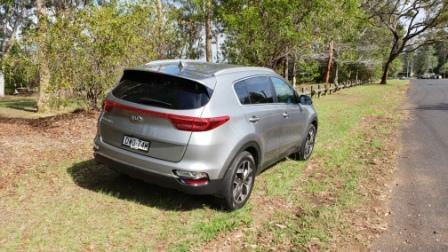 Kia quotes 7.9L/100km for the 2.0L, 8.5L/100km for the 2.4L, and 6.4L/100km in the diesel. 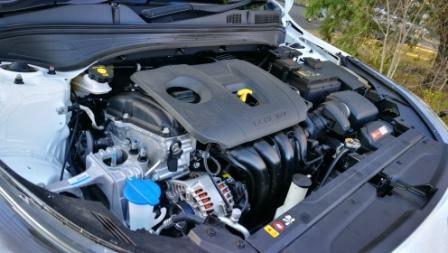 The SLi finished on 8.3L/100km and the diesel finishing on 7.1L/100km, with both results from a 98% urban run. All models have a 62L tank. 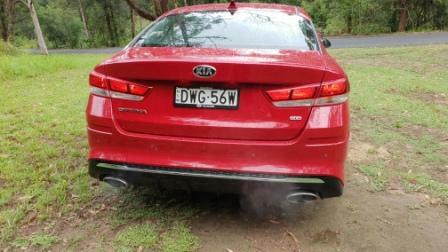 Driving the diesel and the new auto sees a new level of refinement from Kia. There is a distinct lack of the agricultural sound, a real feeling of smoothness, and a wave upon wave surge of torque from the engine. 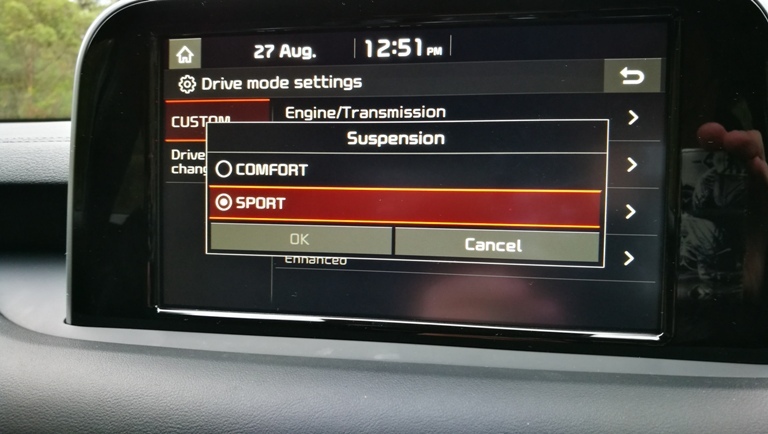 Cogs swap swiftly, quietly, and smartly, with the throttle sensor responding instantly to both pedal movement and information from the drive system itself. 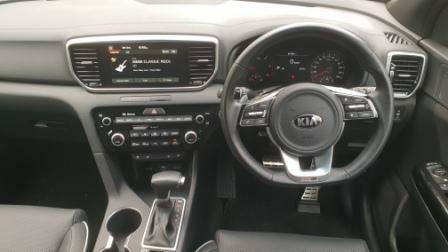 Kia has stayed with the three mode drive choice which, for both, is superfluous. From a standing start the diesel pulls the 1700kg machine away with minimal effort and minimal noise. 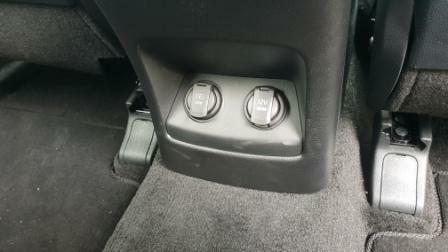 Although front drive biased, there’s a noticeable shift of torque to the rear when the go pedal is punched. 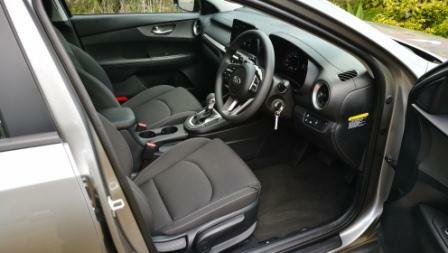 The result is rocketship acceleration, with a flicker of the needle on the tacho at around 3200 revs for the change. 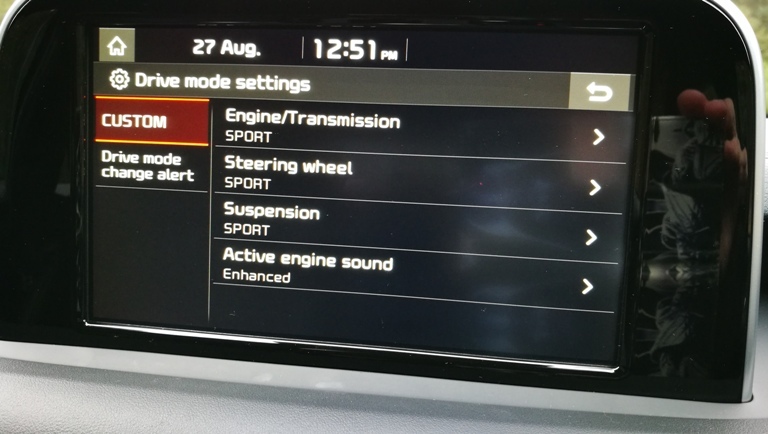 The extra two cogs over the six add so much extra flexibility and helps get the GT-Line to 100kph rapidly. 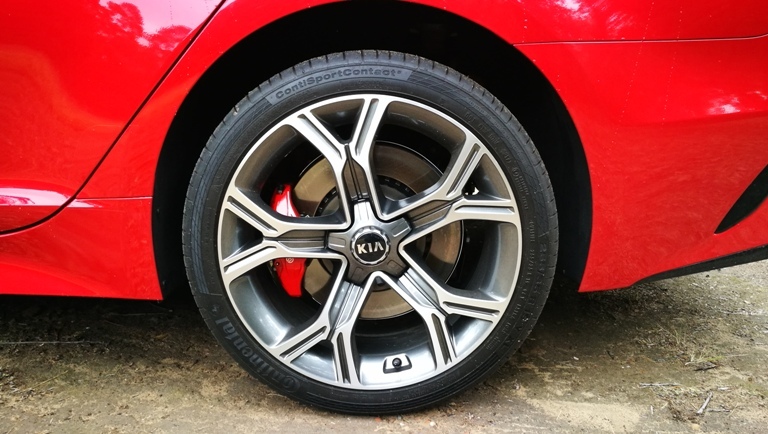 Stopping power comes from 305mm and 302mm discs. 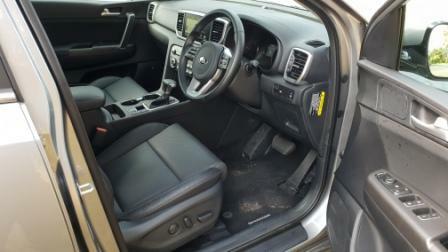 Inside the SLi the petrol’s sound is a distant thrum, barely audible, and feels smoother than silk on ice. From a standing start it’s quiet and sometimes so inaudible there’s a glance at the tacho to ensure it’s actually spinning. Punched hard enough there’s a chirp from the front, but otherwise it’s a friendly, forgiving, machine to drive, Steering on both is a delight, with a beautiful balance and heft on the pair. 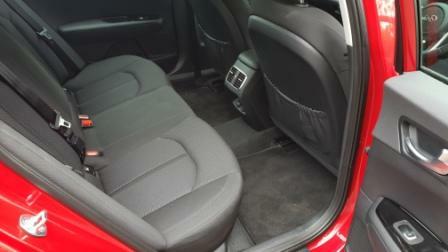 There’s the barest hint of torque steer from the diesel and only under load in corners. Suspension on both is tuned to suit the audience. 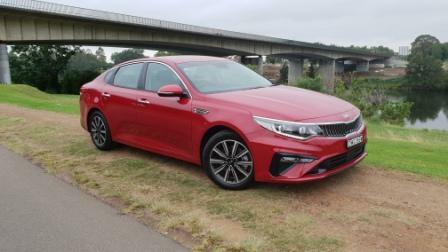 The SLi and GT-Line share McPherson struts and a multi-link rear, but the dampers are slightly softer on the GT-Line. Rubber is different at 225/55/18s for the SLi, 245/45/19s on the GT-Line. 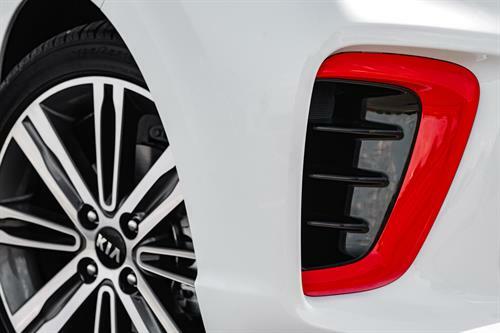 That extra width on the GT-Line provides a more sure footed and tenacious feel on road too. Not that the SLi is any slouch. 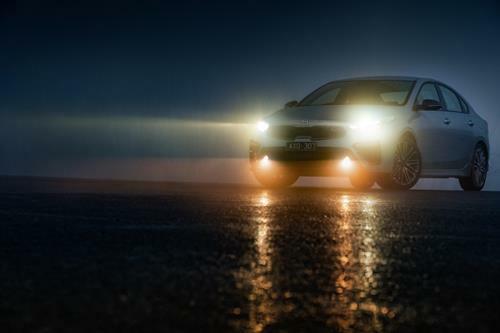 It’s a fun car to drive too. 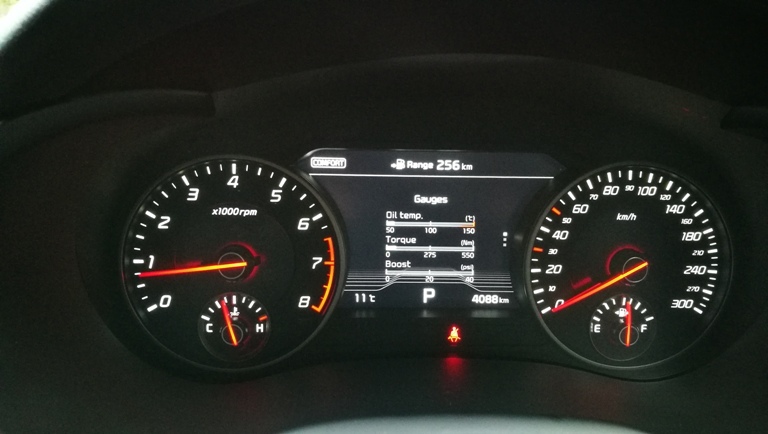 Hit it up into a tight corner and speed and it’s flat, composed, almost begging to see more numbers on the speedo as it dares the driver. 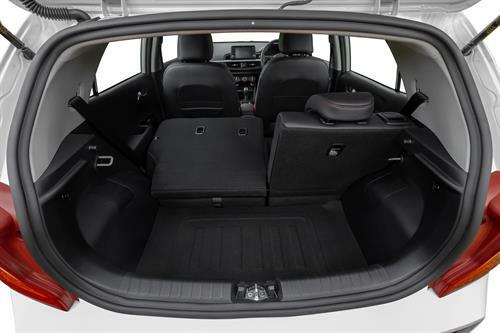 Both settle even more with a week’s worth of shopping in the 466L cargo space. 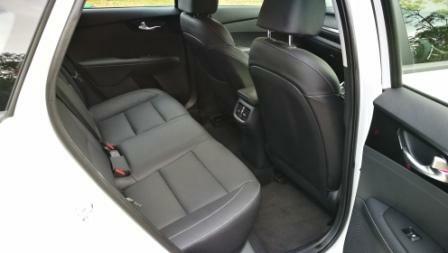 That increases to 1455L if the superbly comfortable pews are lowered. 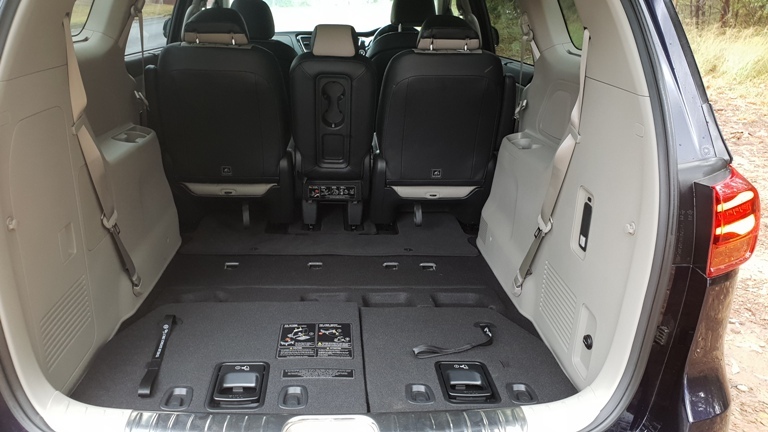 There’s a modicum of extra space inside the Sportage, with an increase of wheelbase and overall length. 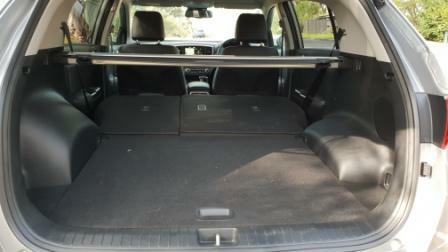 Wheelbase is up, from 2640mm to 2670mm. Length grows by 45mm, to 4485mm but that includes a front overhang increase of 20mm to 905mm and a rear overhang decrease of 10mm to 910mm. 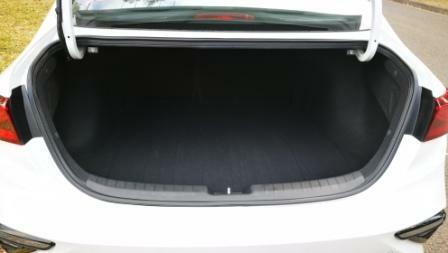 Overall internal measurements have headroom up by 5mm to 997mm and 993mm from 977mm front and rear. 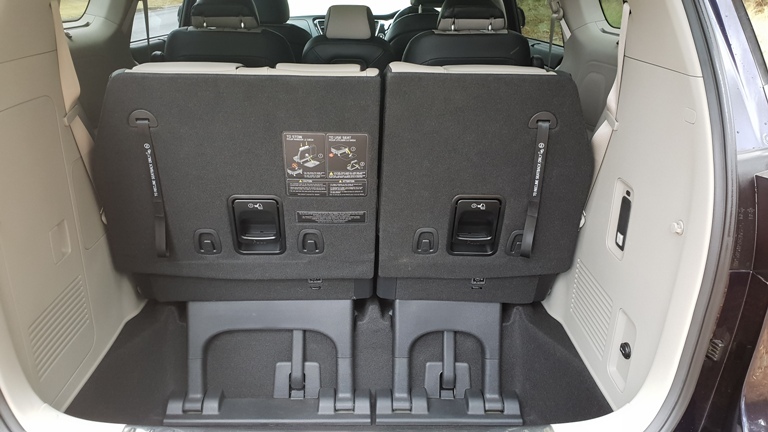 Front legroom has grown by 19mm to 1129mm, and 7mm to 970mm in the rear. 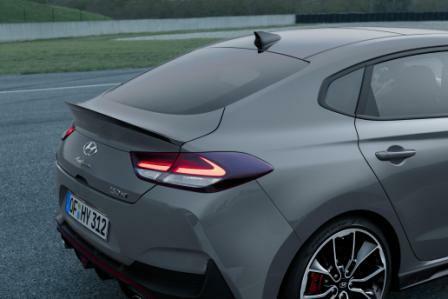 There are few changes to the exterior, the driving lights in the lower corners of the front bumper now have a horizontal line spanning the insert, and in the case of the GT-Line, splits the LED cluster. 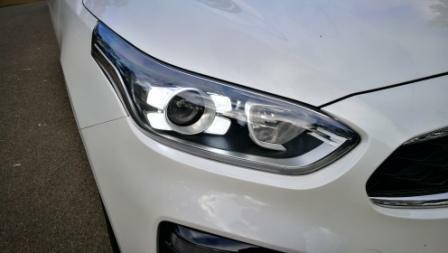 The headlight surround in the GT-Line also looks slimmer but that may be down to the LED lights and indicators. 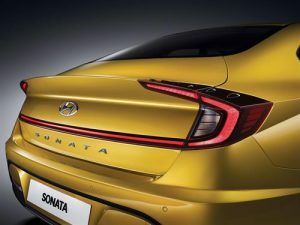 The rear of the GT-Line has LED lights, and a powered tailgate, with the tail light cluster on all models freshened up whilst adding extra visibility for safety. 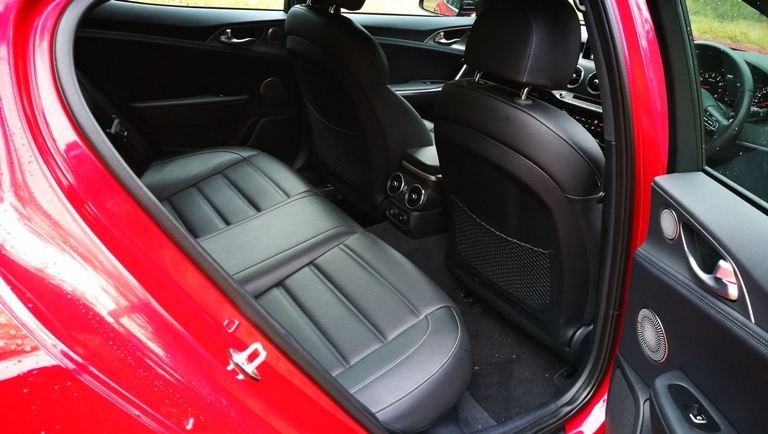 There is ample leg, shoulder, and head room in the Sportage, even with the full length glass roof as fitted in the Fiery Red painted GT-Line. 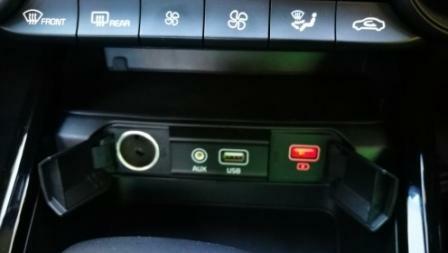 There are the standard pair of 12V sockets up front plus a USB. 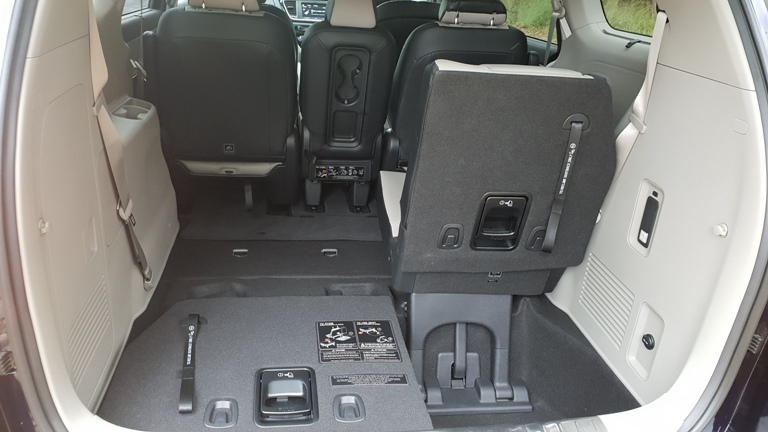 The GT-Line adds a wireless charging point for compatible smartphones and a 12V & USB socket for the rear seat passengers. The front windows in each are one touch.Equipment wise there’s little between the two. Or all four, for that matter. 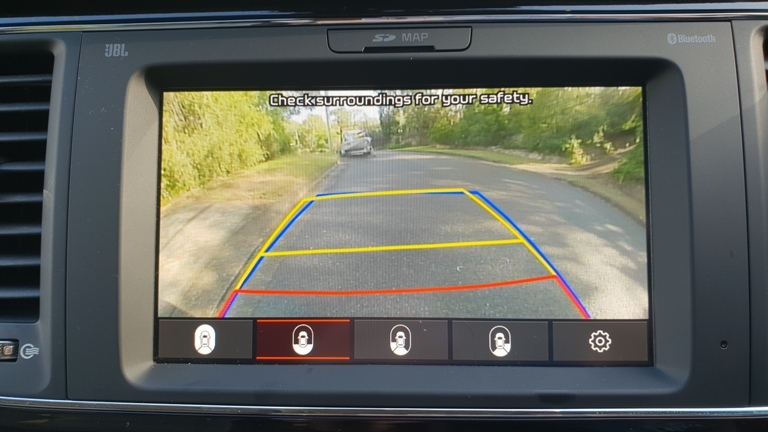 Consider this: standard across the range is Autonomous Emergency Braking, Lane Keep Assist, Downhill Brake Control, Hill-start Assist Control, Reverse sensors, and rear camera with guidelines. 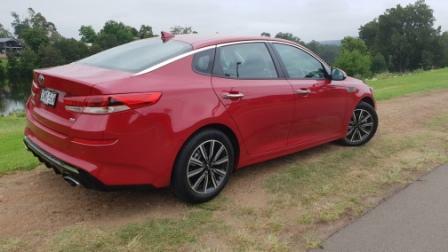 The Si dips out on front sensors, and only the GT-Line gets Intelligent Parking Assist System. 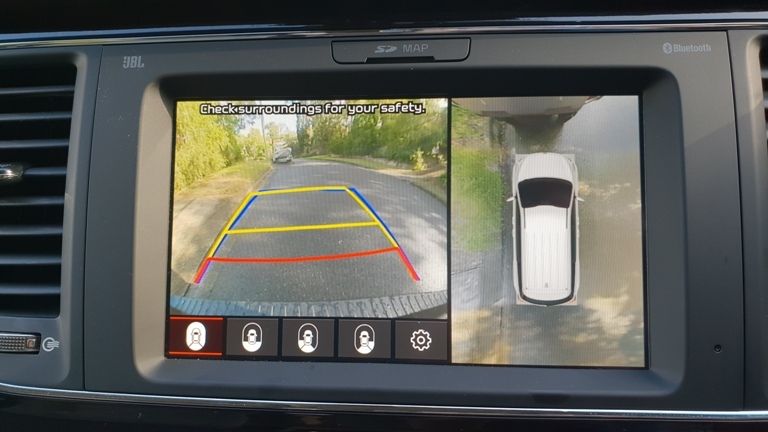 Specific to the GT-Line is Blind Spot Detection/Lane Change Assist/Rear Cross Traffic Alert, which complement the Advanced Smart Cruise Control. 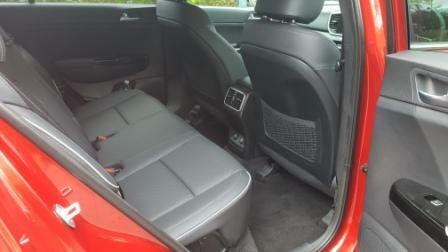 All four have High Beam Assist, dusk sensing headlights, 2 ISOFIX seat mounts, and six airbags. 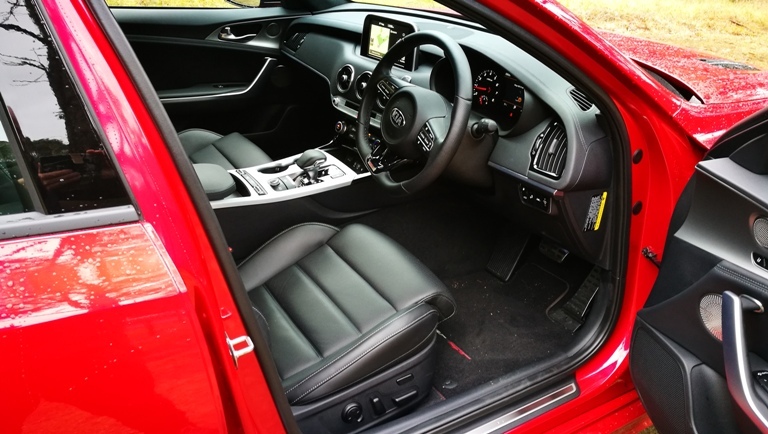 Comfort comes with heated and vented front seats for the GT-Line, ten way adjustable seats in both the SLi and GT-Line, an eight inch touchscreen with DAB audio, JBL speakers, Bluetooth, Android Auto, and Apple CarPlay. The latter two have voice recognition to boot. 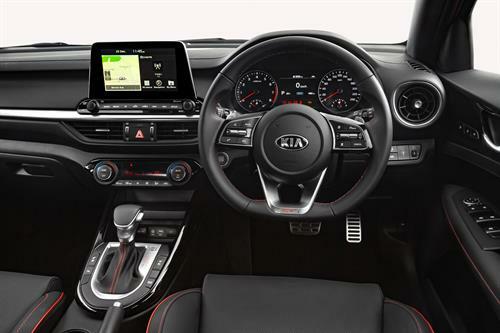 All four models have dual zone aircon systems with Kia’s proprietary CleanAir Module. 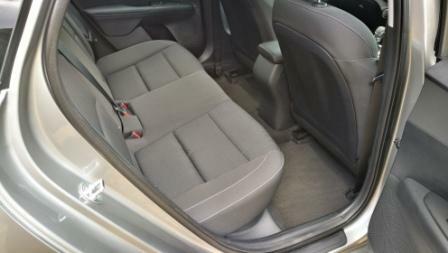 Trim is soft touch plastics, with an alloy look to door and dash inserts. 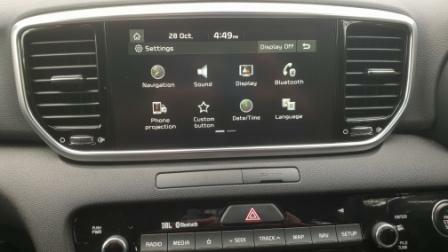 The SLi and GT-Line also receive a 4.5 inch full colour binnacle display. 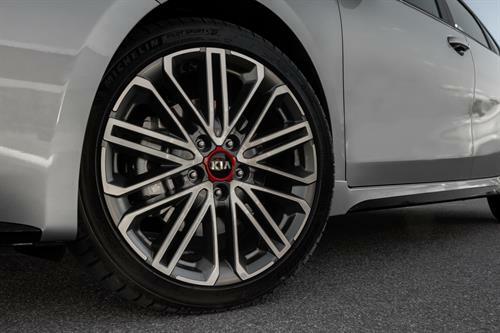 Kia continues to offer its seven year warranty and capped price service. 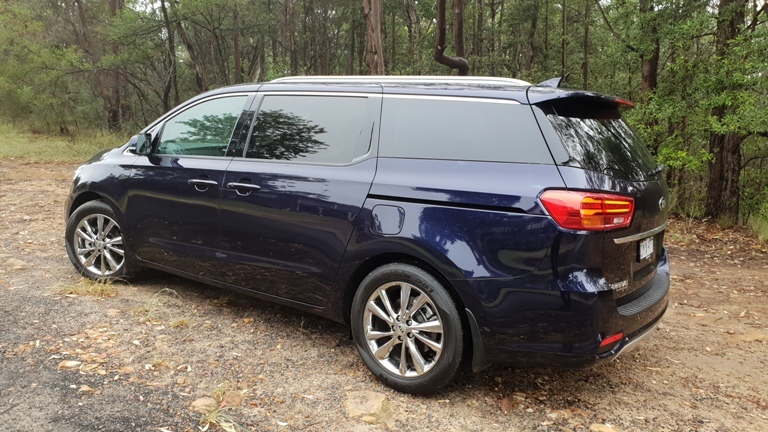 The diesel is marginally more pricy per year for servicing, with the full price over the seven years at $3580 against $2742 for the SLi’s petrol. 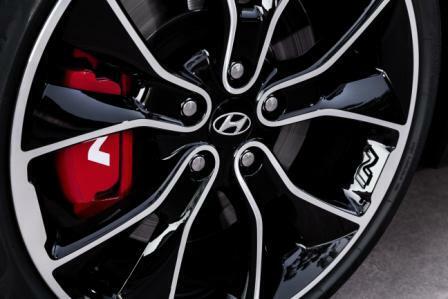 Premium paint is a $520 option. 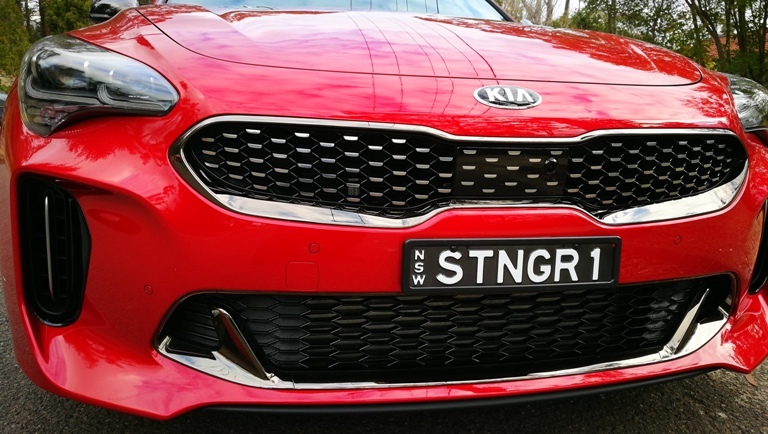 Kia’s growth in the Australian market continues to go from strength to strength on the back of the Stinger, Sorento, and Sportage. 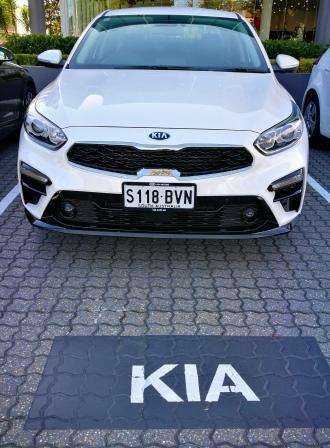 the Cerato sedan is due to be joined by a revamped hatch soon, and the recent news of turbo engines for that overseas, and for the Picanto and Rio will add extra spice to the range. 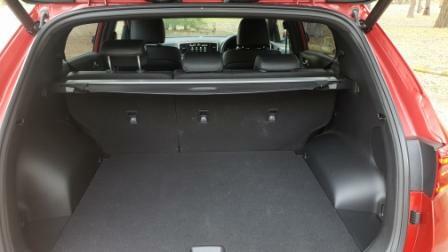 In the case of the diesel GT-Line, it’ll happily be welcomed back at any time. 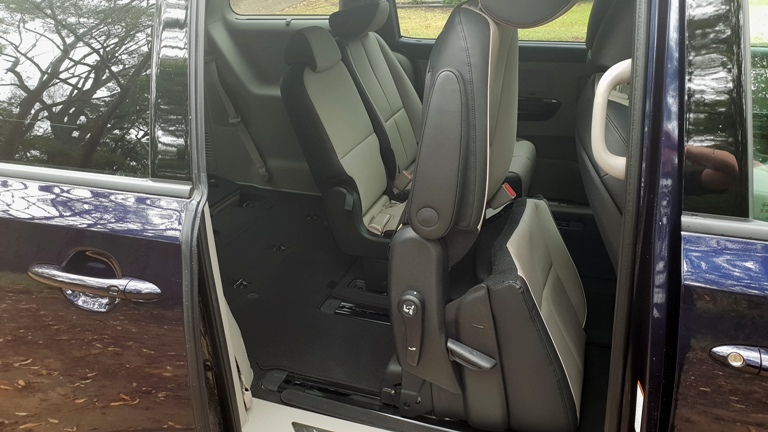 They’re both family friendly,, roomy and comfy, and pack plenty of tech. 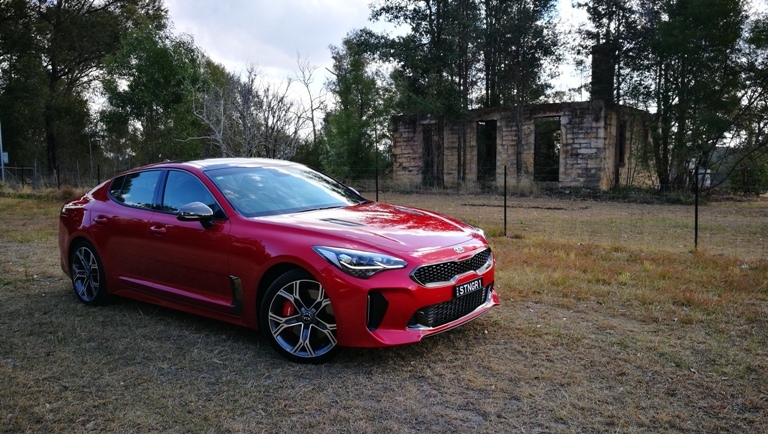 The SLi , perhaps, should have the 2.4L as an option or even as standard, to bring it closer to the GT-Line and separate it just that bit more from the Si pairing. 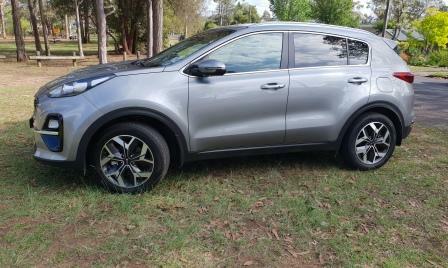 Either way, both are immensely good value but for the win it’s the 2019 Kia Sportage GT-Line diesel.